News-high.com…I simply CAN’T believe that I am doing ANOTHER review on a news site. These are for real getting old REAL FAST! Of course, me being me I had to check it out and what do you know…yet another news reading scam. How do I know it is a scam? Well, just check out my honest News-high.com review for yourself! News-high.com, just like all of the other news reading websites I have reviewed in the past. This website claims that you can make $7-$9 per every “news article” that you read on their website. 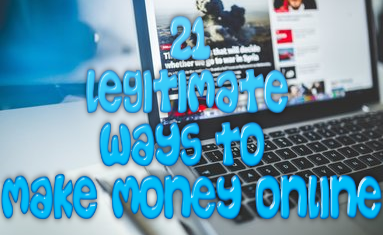 It ALSO claims that to make even more money online with their program you can refer others to read the news with you and receive $35 for every person that you refer to the site. According to this site they are willing to pay each of their affiliate over 100K a year just for referring people. Yeah…how does that sound like a legit opportunity? How Do I Know News-High.com Is A Scam? There are so many reason that I could list out that would explain how I know News-high.com is a scam. Instead of writing a book for this review, I will give you a few critical factors that point to this opportunity being a scam. This is perhaps the main reason as to why I know for a fact this website is a 100% scam. There have been many other “news reading” websites that I have reviewed in the past and guess what? They all turned out to be scams that never paid their affiliates the amount they were owed. Just take a look at all of these other sites and tell me if you can spot the similarities. Ok, I know for one that I am not the only one who has noticed this but the so called “news articles” that you have to read on the site are not actual news articles. They are only 2-3 sentences at most. Normal news articles are at least a couple of paragraphs to a few pages long. Now, let me just get this off my chest….YOU CAN’T MAKE THOUSANDS A WEEK JUST BY READING A FEW SENTENCES A DAY! IT JUST DOESN’T WORK LIKE THAT! When it comes to making real money online, I’m sorry to break it to you, but it just isn’t that simple. 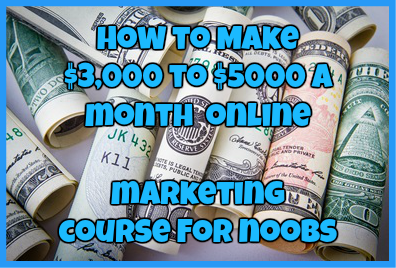 If it honestly was that easy to make money online, everybody would be rich and nobody would be struggling online. 3. The News-High Sign Up Process Is Too Easy! The only thing that this website asks for is your name, Paypal email address and email address….that is it. If that is all they ask for it surely raises a flag, at least to me, as to how reputable they really are. Just like with EVERY news reading site I have reviewed since June of this year, this website falls under the same category of a phishing scam. The other sites I have reviewed were even warned about by Paypal itself. The main goal of the other sites was to collect Paypal email addresses in order to hack into them later once the owner of these sites sent a convincing email from “Paypal” asking for their login info. Now, I know a lot of people will say that since they have no money in their paypal, they must be safe. Well, that isn’t really the case anymore. Nowadays you have to link your Paypal account with your credit card and bank account info, meaning that the moment someone has access to your paypal account, they have access to your credit card and bank account. Honestly guys, I am truly getting sick of doing reviews of these sites. News ones keep popping up the moment the old ones lose their momentum. I know for one this is a scam and hopefully by the end of this review you have seen it as well. Since Paypal has even warned against this company, I would strong recommend that everybody stay away from it Visit This Link. YOU WON’T GET PAID AND YOU WILL JUST BE WASTING YOUR TIME ON THIS PROGRAM! Have you fallen victim to News-High.com? If so I would love to hear from you! Just drop me a detailed comment below! ← The Excel Cash Flow Scam: Beware This Blatant Scam! Yes. It is a scam. I signed up and did not get paid when my balance reached $2300. I am glad I did not refer people to the web site. I was suspicious,so I tried it first to see if I’ll get paid before I refer others. Please stay away from this bogus site. That was a good move on your part! Most people won’t do that to ensure others won’t get scammed. I commend you for that!